Versatility and flexibility are the hallmarks of Navy Musicians. The jobs requires the ability to step into the spotlight without notice, always with confidence and sometimes without preparation. Melanie Leketa and Diane Beegle know this from experience. That's why there's nothing strange about a quick vocal rehearsal taking place in a hotel lobby. Our time together is brief. 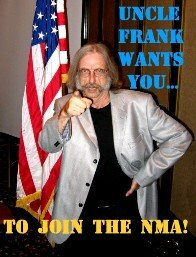 What is an NMA reunion?